A new brand of earbud headphones is helping to revolutionize translation for anew generation – breaking down the barriers to communication in 29 global languages via the Click + Ear Buds. 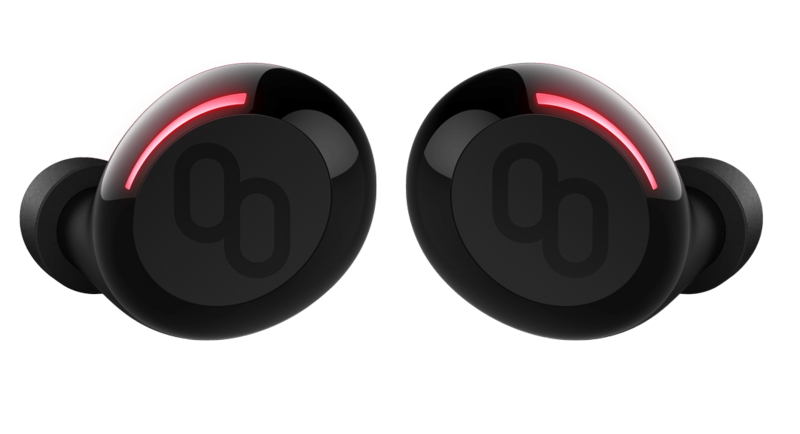 Developed and launched by tech brand MyManu, these impressive new wireless earbuds provide users with a live voice and text translation, wherever they are in the world. Instead of relying on cumbersome phrase books or stumbling through stilted conversations, this clever tool allows you to talk to over 4 billion people worldwide, gaining a deeper insight into the local life and culture than is ever possible when you’re busy getting ‘lost in translation’. As well as being a handy piece of kit for travelers, they can be used in a wide variety of settings for both work and play. Imagine how much simpler communication could be at multi-lingual workplaces, or how the Clik+ Ear Buds could transform education at international schools! As well as giving you alive translation feed, the earbuds are also multi-functional, keeping you connected in an array of language options. This immersive new kit is possible thanks to major technological advancements, which help users truly embed themselves in their surroundings as well as their chosen languages. With geo-location tech pre-installed in the device, you can easily discover new music in your location, and play it during your travels. In addition, using the MyManu Play function, you’ll be able to access all of your favorite streaming services and music from one handy central location. For those who can’t live without music or audiobooks during their trip, this function is sure to prove popular! Reading the text is also kept nice and simple, with a clipboard for reading all your translations. The translation tech is equipped to handle audio translation of both individuals and groups, with unbeatable clarity and sound quality thanks to the aptX Codec passive noise cancellation. This works in conjunction with the Knowles 2-Way Balanced Armature drivers to help you experience a richer and more dynamic sound – no matter whether you’re translating a conversation or simply relaxing with some of your favorite tunes. The tech utilizes the comprehensive MyManu Translate app to ensure you can speak face-to-face, all over the world, with confidence. With a sturdy six-hour battery life and including a stylish charging case, the compact Clik+ Ear Buds can be safely stored when you’re not using them, and transported on-the-go.When combined with the app and interface, the MyManu Clik+ Ear Buds provide the ideal all-in-one piece of audio-visual travel kit - as well as helping to create a brighter and more interconnected future for communications in the workplace and education. Whether you’re a business traveller, enjoying a relaxing holiday overseas, or simply want to learn a new language in an efficient new way via a secure interface –there's no end to the handiness of the precision-engineered Clik+ Ear Buds from MyManu.